How do I pay for the New Headway teacher's course ? You can pay by credit card, or by Paypal directly. 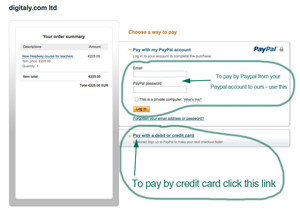 The payment button is at the bottom of this page but please read the following instructions. and you do not need a Paypal account to use your credit card. 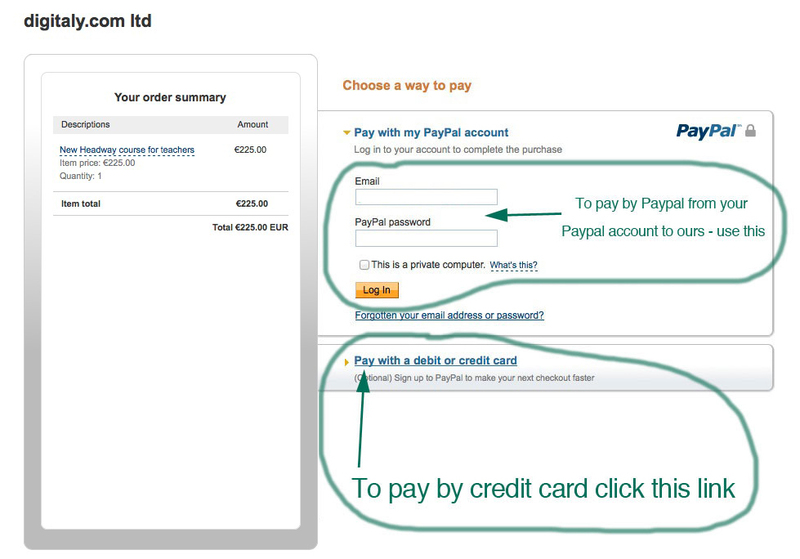 but Paypal also processes standard credit card payments. At the bottom of this page you will find the 'Buy Now' Paypal button. and shows clearly the two payment options. Then click the button below to make your payment. We are a UK registered company and issue invoices for any sold services. New Headway course for teachers. New Headway course books to teach English language students.